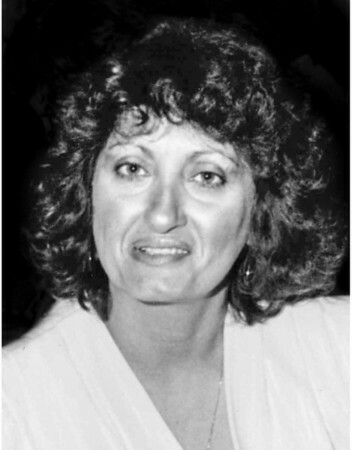 Riva W. (Hussey) Kaminski, 77, of Bristol, passed away Jan. 25, 2019, at St. Mary's Hospital in Waterbury. Born on Jan. 20, 1942, in Boston, Mass., she was a daughter of the late Gardner and Frances (Drogo) Hussey. Riva had worked as an administrative assistant to the Arts Department of the Farmington School District for many years. She enjoyed traveling and loved to cook for her family. Riva's grandchildren were the love of her life and she was very active in their lives. She was also very proud to call herself a great grandmother to two wonderful great grandchildren. Riva leaves one son, William A. Kaminski Jr. of Bristol; two daughters, Kimberly Masotti and her husband Stephan of Bristol, and Pamela L. Souza and her partner James Bosely, also of Bristol; two brothers, Ronald Hussey and his wife Marie of Farmington and Gardner Hussey and his wife Dorothy of Altamonte Springs, Fla.; two sisters, Francine Pinardi and her husband Mitchell of Rocky Hill and Debra Dion and her husband Michael of Florence, Mass. ; five grandchildren Amanda, Maxwell, Samuel, Francesca and James; two great-grandchildren, Emma and John, and several nieces and nephews. Riva was predeceased by her brother, Wayne Scherban. A memorial service will be held Thursday, Jan. 31, at 1 p.m. at DuPont Funeral Home, 25 Bellevue Ave., Bristol. Inurnment will follow in St. Joseph Cemetery's Holy Family Chapel Mausoleum. Calling hours will be Thursday morning from 11-1 p.m. at the funeral home. In lieu of flowers, donations may be made to St. Jude Children's Hospital, 501 St. Jude Place, Memphis, TN 38105 or by visiting www.stjude.org/donate . Family and friends may leave a condolence message by visiting www.dupontfuneralhome.com . Posted in The Bristol Press, on Sunday, 27 January 2019 20:12. Updated: Sunday, 27 January 2019 20:15.